Many of our clients are college professors or staff members. From some of the largest and most prestigious universities in the world – institutions like Harvard University, MIT, Boston University, Boston College and the list goes on. You may be employed by one of these colleges (with over 100 colleges and universities in Eastern Massachusetts) and I’m sure you know that one of the perks is that you have access to the Help Desk. This generally is free and they told you when you started that all you had to do when you needed help was to “open a ticket” and kaboom! All your tech headaches would be eliminated! Tell me, has that been your experience? Or has it been something like this – you experience a problem/issue, you try to solve it yourself by Googling it, etc. 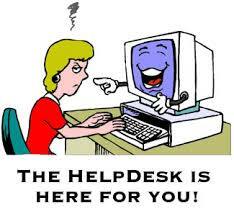 This fails so you resign yourself to the fact that you do need help so you call/stop by or click the Help Desk. If you stop by, you are treated like an unwelcome intruder (they are busy avoiding eye contact, much like the “helpful staff at Home Depot) and if you do manage to get someone’s attention they pepper you with questions that a seasoned District Attorney would blush at asking. After you stumble through explaining your issue, they tell you they will take a look and assign someone to look at the issue and get back to you ASAP. 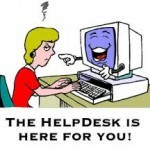 Why Does Everyone Hate the Help Desk? You leave, feeling a bit ashamed yet hopeful. After a while though, that hope turns to dread and that dread turns to anger as the hours tick by without any contact. Finally, you get an email or call and one of the harried help desk staffers promises to look at your issue. Th big moment arrives and instead of fixing the issue, you get another round of questions/accusations – you are back on the witness stand! “What were you doing when this problem occurred?”, “What applications have you installed?” Sweat forms on your brow as you try to answer and you squirm uncomfortably under the bright lights of this interrogation. You think to yourself, maybe this problem was started by me, maybe I did something wrong. Maybe I’m an idiot for not knowing these things …Eventually your problem is fixed or you learn to live with it and the “ticket is closed”. So, how do I know this stuff? 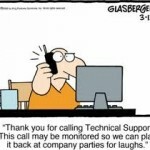 Let me introduce myself – I am the owner of Tech Help Boston, but in a former life I ran a corporate help desk. I admit it, I’m guilty as charged. Yes, you think but a corporate help desk HAS to be better than the one at my school, right? WRONG! They are identical, except that in addition to “helping” just employees and staff, school help desks “help” students as well. I could give you a million reasons why help desks are what they are – slow, inefficient, bureaucratic, egotistical, the list could go on and on. But the REAL reason is that the organization looks at them (and funds them) as a cost center. One that they don’t like funding, plus the people that tend to work at help desks by their very nature started out liking to help people, but soon learned that that wasn’t what they are paid to do. They are paid to do 2 things – close tickets fast and help VIP’s so that the VIP doesn’t yell at their management. That’s it in a nutshell. The secret is out! So, getting back to why we have so many clients that are FORMER victims of their help desk and now utilize us for their technology needs – we try to be the anti-help desk. We genuinely care about fixing things and our staff treats you like a person, not a witness in a court trial. 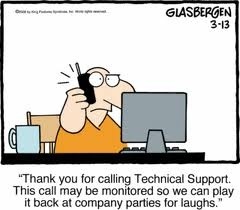 As a matter of fact, like myself many of our Tech Experts used to work on help desks, but have found it more gratifying to be helping clients and not closing tickets. So, what common tasks do we help our friends at universities with? The usual stuff – like helping them with a new system, or fixing common issues like slow systems or malware clean ups. Printing issues are common and something we are very well equipped to fix. We do work on Apple and Mac products as well as Windows based systems, so we have you covered no matter what you are using. Of course, you don’t HAVE to use us, as I said before the Help Desk at your school is “FREE” after all and I believe for specific issues you are having with school related issues the help desk is your best choice. But if you work out of a home office or need help with your personal system sometimes working with a company like ours is more valuable than free because we value your time.